Get ready for a roaring and endearing time at the movies this January 23 with Kevin Hart and Bryan Cranston in an unusual buddy comedy drama “The Upside”. The movie is inspired by the 2011 box office hit French film Les Intouchables. 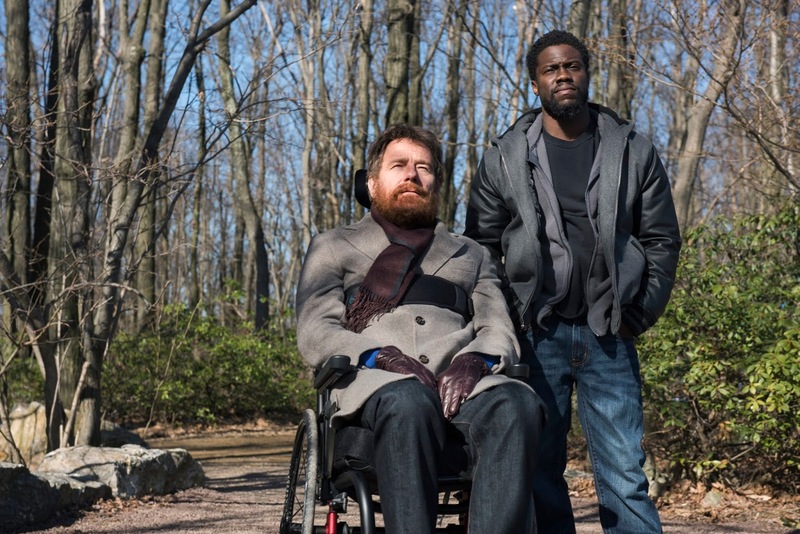 The unexpected friendship between Phillip Lacasse (Cranston), a Park Avenue billionaire left paralyzed after a paragliding accident, and ex-con Dell Scott (Kevin Hart), in need of a fresh start. Newly paroled and in desperate need of a job, Dell is frustrated by the menial opportunities available to an ex-con. After finding himself at the wrong job interview Dell uses his irreverent charisma to charm Phillip, who, despite protests from his chief-of-staff Yvonne (Nicole Kidman), offers him the home aid position. Despite a rocky start, the two quickly realize how much they can learn from each other's experiences. From worlds apart, Phillip and Dell form an unlikely bond, bridging their differences and gaining invaluable wisdom in the process, giving each man a renewed sense of passion for all of life's possibilities. "The movie is about people bridging the divisions between us, which to me is an incredibly important theme," explains director Neil Burger. "I wanted the movie to feel real and to be as honest as possible. 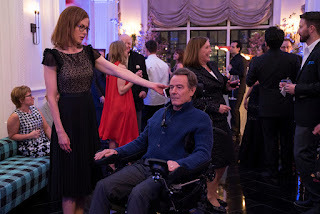 That goes with the depiction of Phillip and his disability. To be as honest as we could about that experience and ultimately be as respectful as we could about that. And the same with Kevin's character's experience. His background being from the South Bronx and what he's going through in his life. The movie is about respect and it's about compassion. And I think that had to be part of the filmmaking as well. To be as honest and respectful as possible." Filling out the rest of the stellar cast of “The Upside”are Aja Naomi King who plays Latrice, Dell's ex-girlfriend and the mother of his child, Suzanne Savoy as Charlotte, Phillip's long-time chef, Julianna Margulies, a pen pal Phillip finally gets the courage to meet for a date, Tate Donovan, the wealthy and somewhat obnoxious budding art collector living in Phillip's building, and Genevieve Angelson, as Phillip's deceased wife, Jenny. 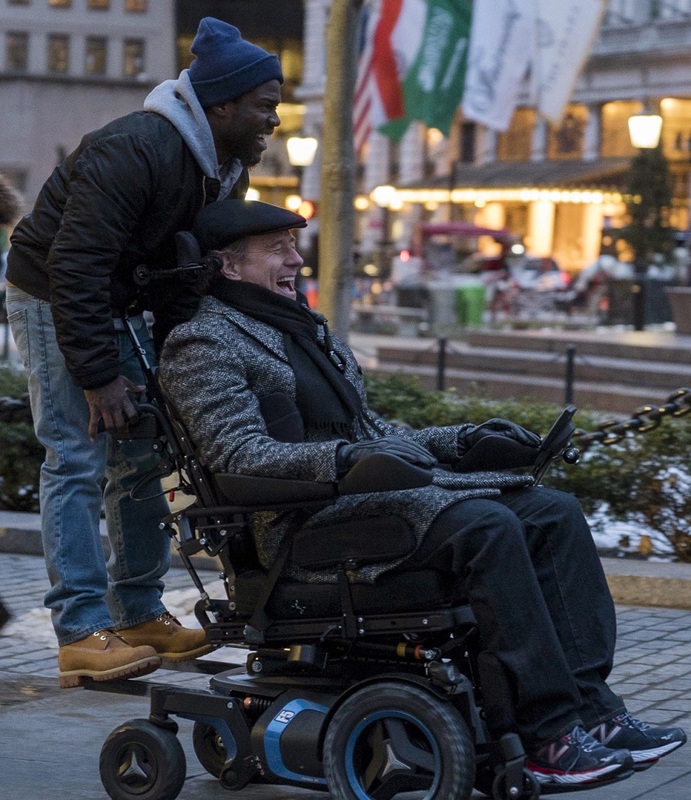 “The Upside”opens January 23 in cinemas from Pioneer Films.